Sovereign Island has been reclaimed using dredge spoil from the Coomera River and Gold Coast Broadwater. 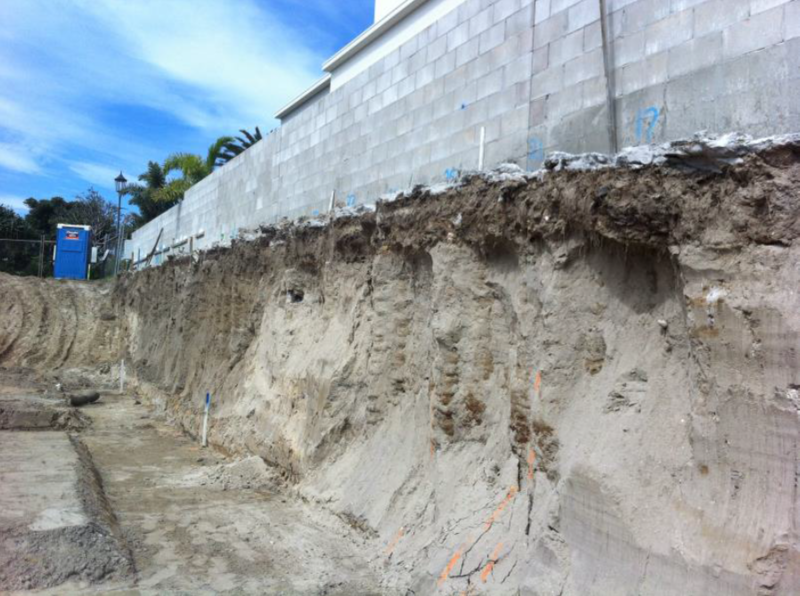 The typical geotechnical profile for residential house lots includes several metres of loose and overlying layers of loose and dense sand to a significant depth. Houses are also built using the largest footprint possible which generally sees them constructed within 1.5m or so of the boundary. This close proximity to the boundary makes excavating basement very tricky and usually requires some form of temporary or permanent shoring.